Pastor J.C. Cunningham was born in Port Huron, Michigan, but spent most of his life in Florida. He graduated from Wellington High School in 1999 and then entered the United States Navy. After being honorably discharged from the military, he attended and received his BSBA degree at Hawaii Pacific University in 2006. Soon after graduating from college, he attended Knox Theological Seminary in Ft. Lauderdale, FL and graduated in 2010 with a Master of Divinity degree. During seminary, J.C. worked at Coral Ridge Presbyterian Church as the Coordinator for the Jail/Prison ministry and taught Evangelism Explosion courses. For three years, J.C. served as an intern at Grace Presbyterian Church in Stuart, FL under Pastor Bernie van Eyk. On June 1, 2013, J.C. was ordained to the ministry of Word and Sacrament. 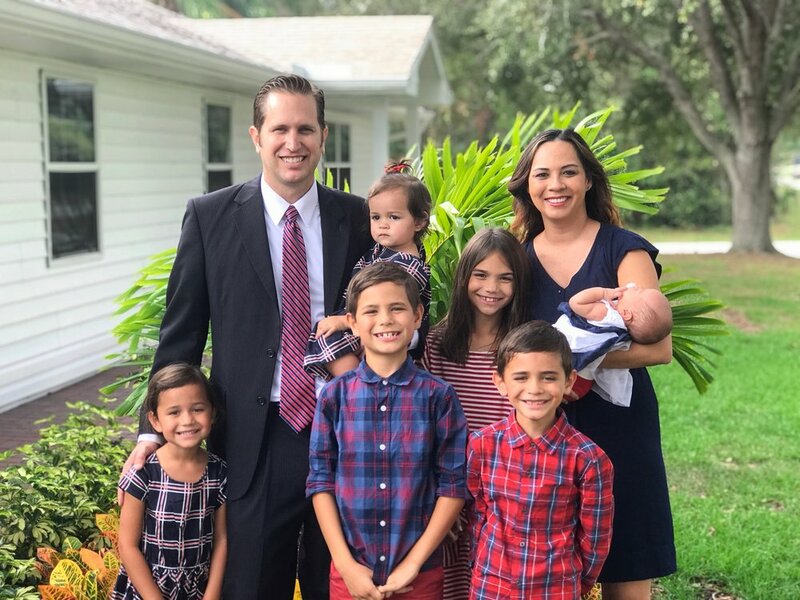 Pastor J.C. is blessed to be the husband of his dear wife, Alohalani, and the father of six wonderful children: Abigail, Luke, Christian, Grace, Hope, and Chloe. He enjoys surfing, spear fishing, and watching University of Michigan football.